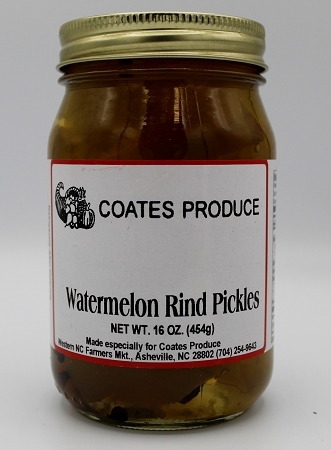 Our watermelon rind pickles are cubed in a sweet vinegar solution with seasoning and spices. With their sweet, sour , spicy, and chutney like flavor you will be sure to love this southern delicacy. Ingredients: Watermelon rinds, pure cane sugar, vinegar, salt and spices.